Dana White is finally starting to realize something now that the McGregor-Mayweather fight is set for August 26th. 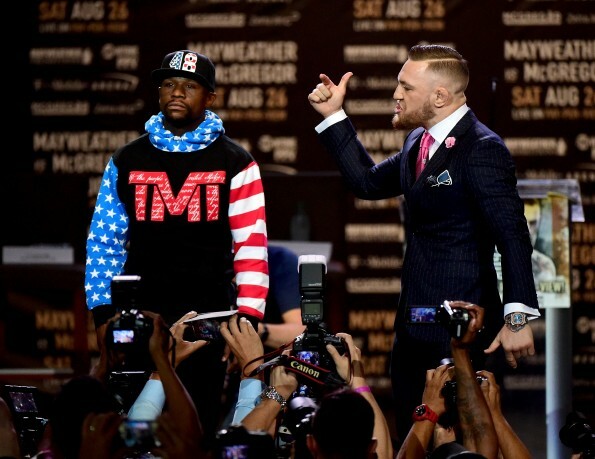 While speaking to the media on the first leg of a press tour for Conor McGregor’s upcoming blockbuster boxing match with Floyd Mayweather, the UFC president acknowledged that the Irishman may call it a career after this fight, which should bring him upwards of $100 million—that’s more than enough to sustain him for the rest of his life. “I had a bunch of guys who worked for us in the UFC and made a bunch of money and they’re gone now. You know? You just don’t know, if he’s going to come in and make this kind of money, he might never fight again,” White said, according to Dave Doyle of MMA Fighting. McGregor has yet to defend his UFC lightweight title and although he and his head trainer John Kavanagh have teased a December return to the Octagon, A $100M+ pay check could quickly change his mind. McGregor is set to make his pro boxing debut on August 26th in Las Vegas at the T-mobile Arena.